Fits Adult Road, Mountain & Hybrid Bikes. 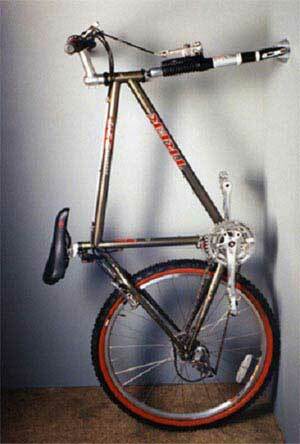 Attaches Bike Firmly To Any Flat Surface, Vertically (eg. to a wall) or Horizontally (eg. to a trailer). Used To Store Single Or Multiple Bikes In Houses, Garages, Trailers, Vans, Trucks, Boats etc. Does Not Put Undue Stress On Tyres, Rims Or Spokes. 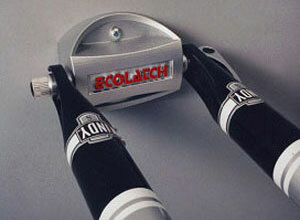 By Removing The Front Wheel ECOLATCH Will Save More Space Than Any Other Kind Of Storage System.